Language translation helps to spread the information amongst different nations and cultures. There is no doubt that language translation tools are often considered as the basis of communications between people of different ethnicity. Companies and big organisations utilise many kinds of translation tools to translate their documents or information to local languages. Large, global businesses – like furniture giant IKEA – have already utilised language localisation for their growth and expansion. IKEA is known for its ready-to-assemble furniture which all require a set of instructions to help the buyer assemble the items on his own. Using this method IKEA has reduced the transportation and storage costs enabling the production of cheap items which are designed for quick assembling. IKEA delivers every product with an easy-to-follow instructions. But when they have expanded to different nations, they have been required to provide the same instructions in several dozens of local languages. By using translation tools, they focused on providing the instruction manuals in the local language. In the initial years of IKEA, every product was delivered with simple step by step text instructions. During their journey of becoming a global company, they needed more controlled translation processes for managing the localization of their instruction manuals. I can only imagine how laborious and expensive that might have been. So it is not a surprise that they sought for a more cost efficient solution for the manual localization. They started using pictorial forms to represent each step of the instructions. By using pictures instead of instructions, IKEA have localised their instructions in true nature. 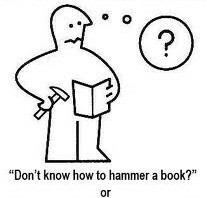 Spread over 4 continents, IKEA would have to provide instructions manuals in around 100 different languages. Illustrative pictures reduce the need for translating these instructions and they make it easier for people to follow the assembly instructions of their new furniture. Currently, there are countless amount of companies who struggle with manual and instruction localization. Only few could adopt the IKEA’s solution. But by being innovative, IKEA has earned the title of the most cost-efficient localizer. 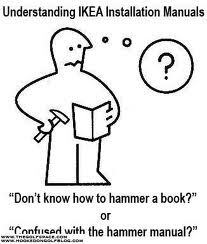 So it will be right to say that IKEA instructions truly are the only instructions that don’t need translation. 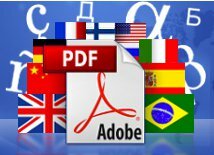 Get more out of your PDF documents!Multilizer PDF Translator translates manuals, instructions and user guides automatically to dozens of languages. Read more here.